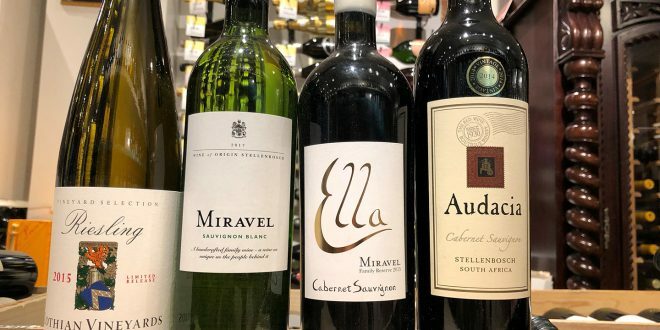 Thursday we are diving deep into South African wines – come and explore a Riesling, Sauvignon Blanc and a few Cabernet Sauvignons from the Western Cape region. 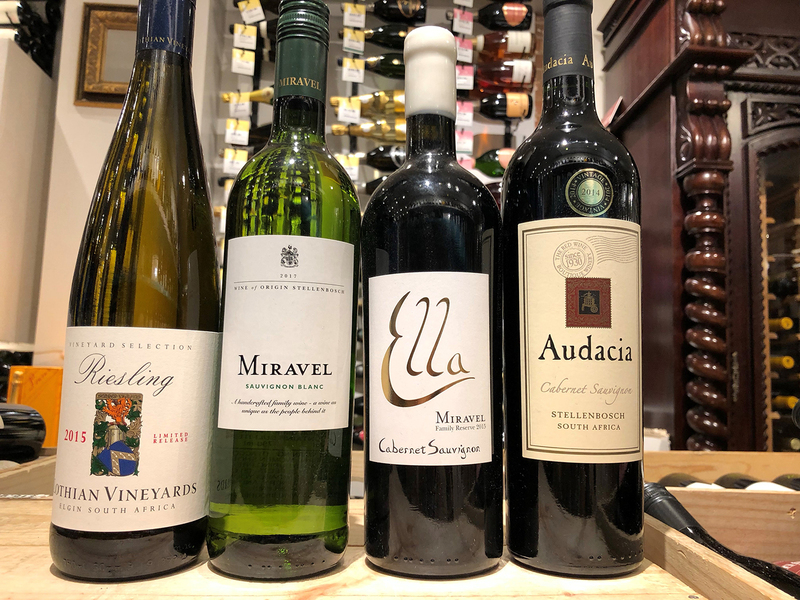 Join us at the store from 5pm-8pm and try out these lovely wines! Lothian Vineyards is a family run winery that has been passed down for three generations. The winery’s close proximity to the Atlantic Ocean and high altitude allow the vineyards to be an ideal home for the Pinot Noir, Chardonnay and Riesling varietals. The Riesling is a beautiful high acid, dry wine. It shows notes of citrus, lemon and tart rhubarb on the palate while offering a crisp balanced finish. Located in the Helderberg valley in the Western Cape, Miravel Wine Estate was founded in 2002. Here, cool breezes rising from False Bay allow for the cultivation of Sauvignon Blanc and Cabernet Sauvignon. The Sauvginon Blanc is a fresh, crisp wine with tropical fruit and citrus aromas. On the palate, the wine has a beautiful balance and a soft silky texture. The Ella Cabernet Sauvignon is full-bodied, with great structure and notes of dark fruit, mushroom and cigar box. The finish is smooth, complex and elegant, with great balance continuing through to the end. Audacia is a winery specializing in red wines. This nearly 80 acre farm is situated in Stellenbosch near the Helderberg Mountain. The vineyards are exclusively planted with red grape varieties including Malbec, Cabernet Sauvignon, Cabernet Franc, Petit Verdot, Shiraz, Merlot and Roobernet. The Cabernet Sauvignon bursts with aromas of black fruit, liquorice and spices. This wine is full bodied and has a gorgeous finish with hints of eucalyptus and plums. Thursday, February 7, 2018 from 5pm to 8pm.